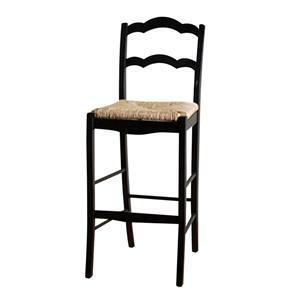 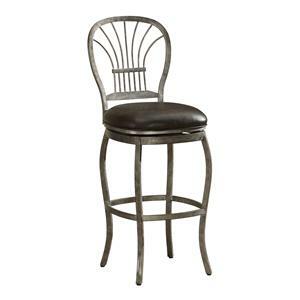 This stool is completed in the Rustic finish with an Earth fabric upholstered swivel seat and an intricate contoured metal back. 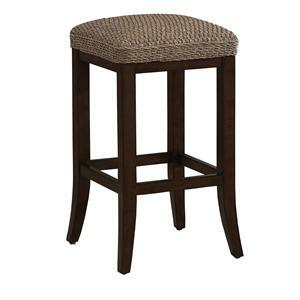 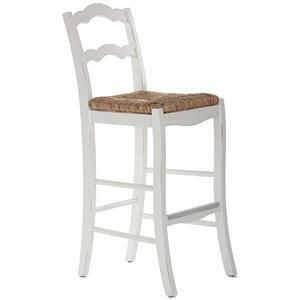 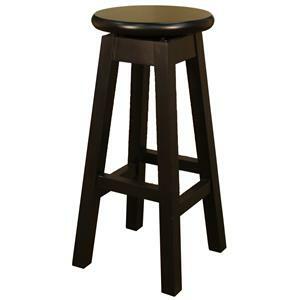 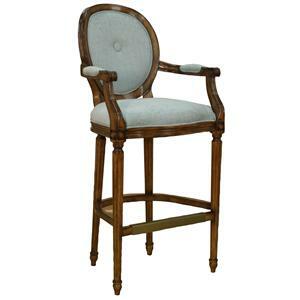 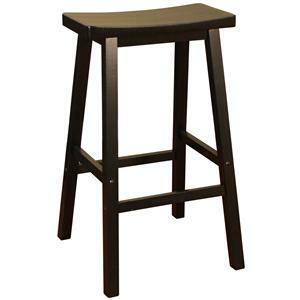 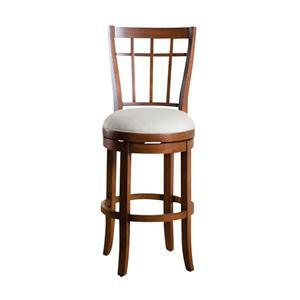 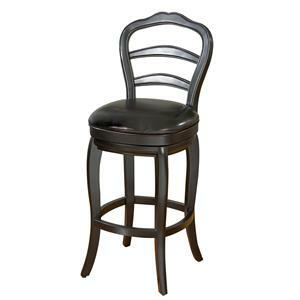 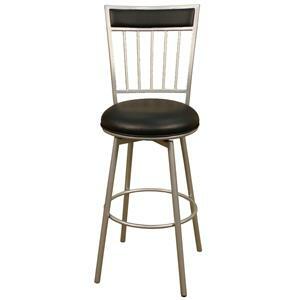 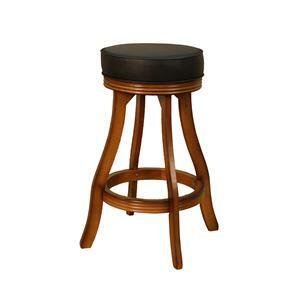 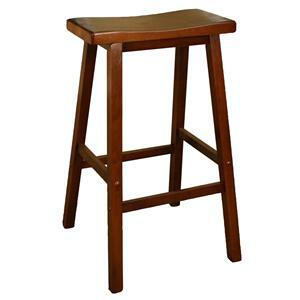 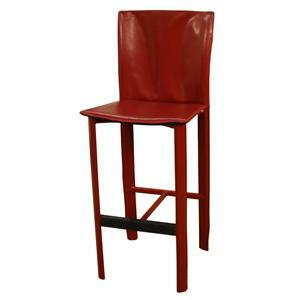 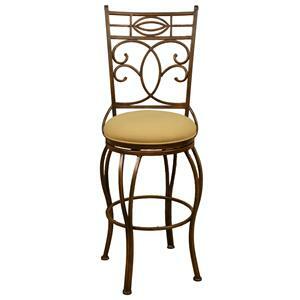 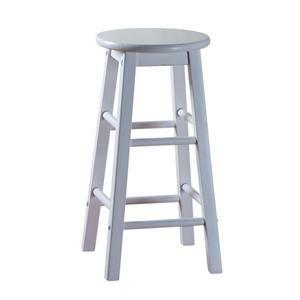 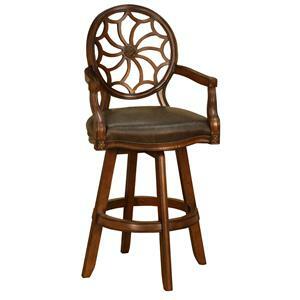 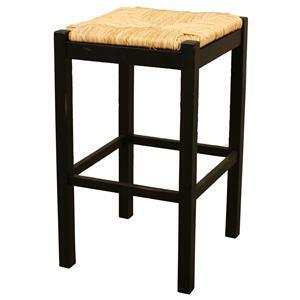 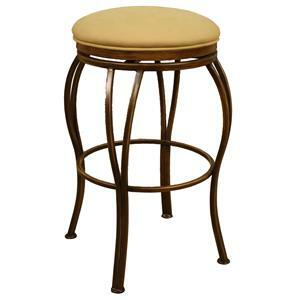 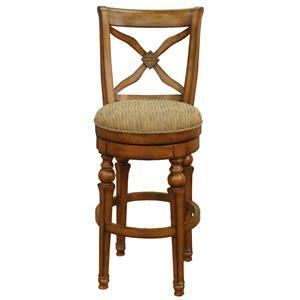 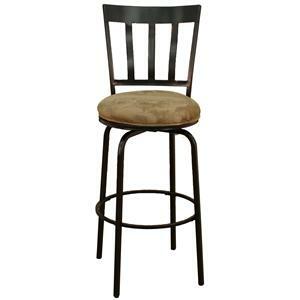 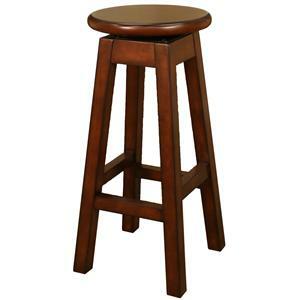 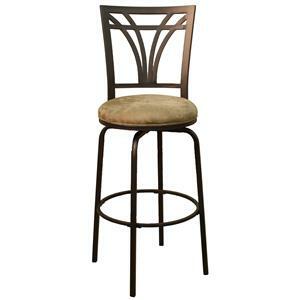 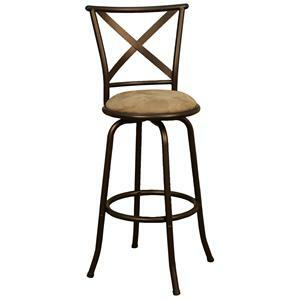 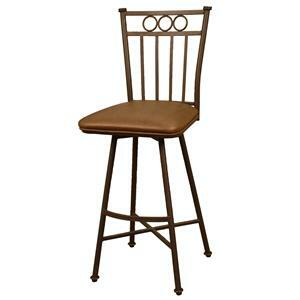 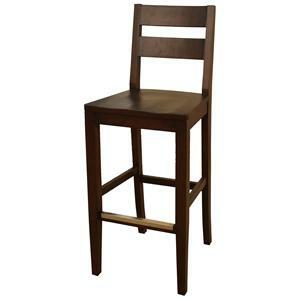 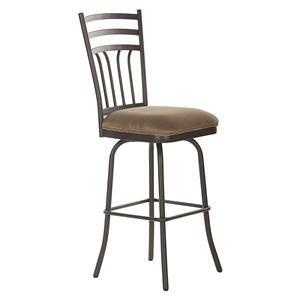 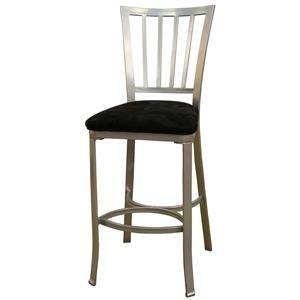 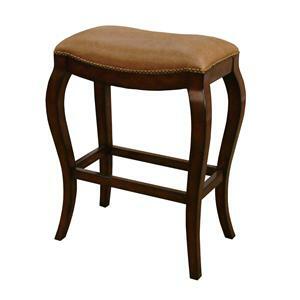 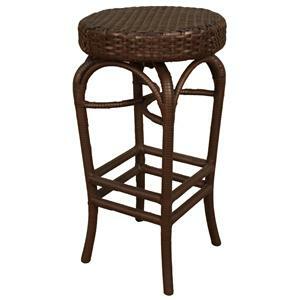 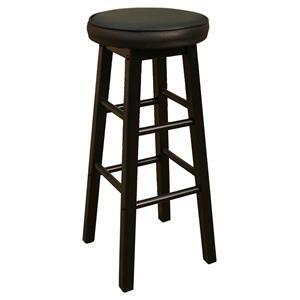 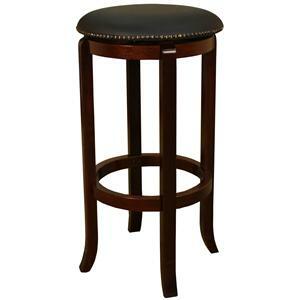 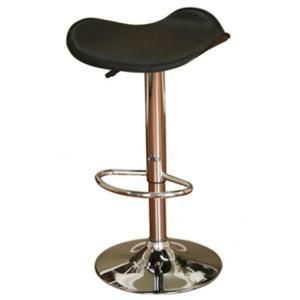 This stool is available in 30" and 24" seat height options. 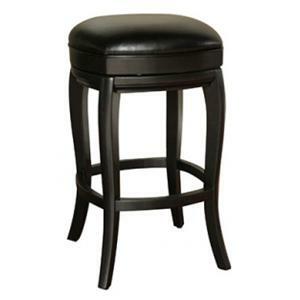 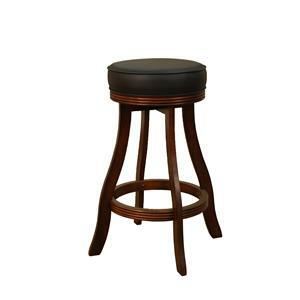 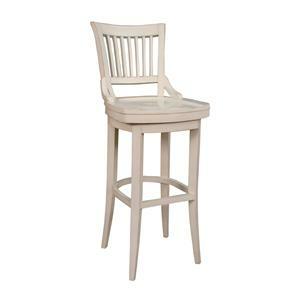 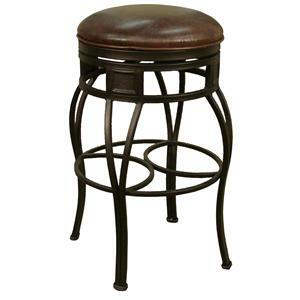 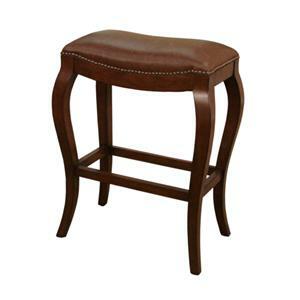 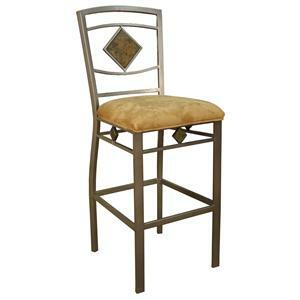 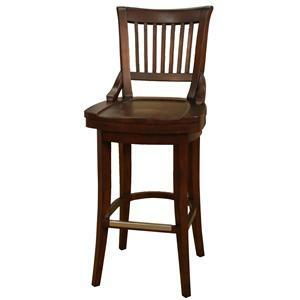 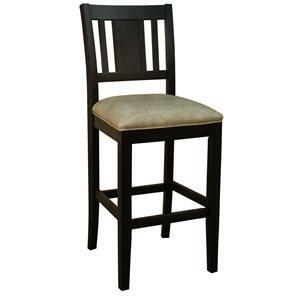 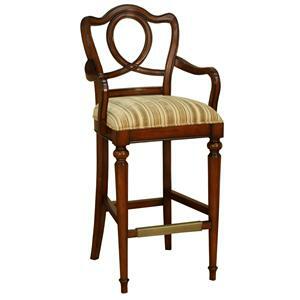 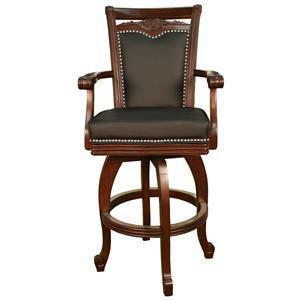 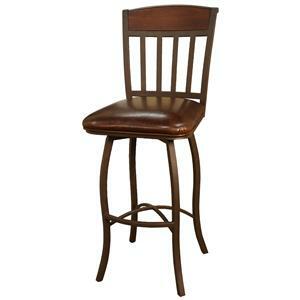 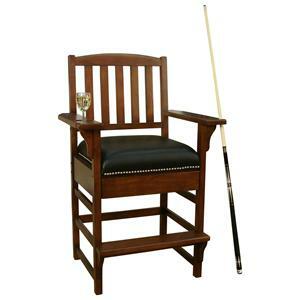 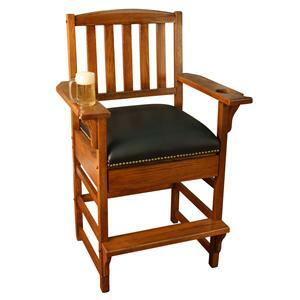 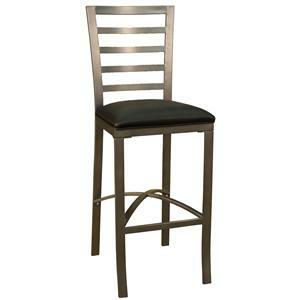 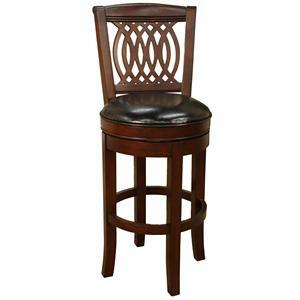 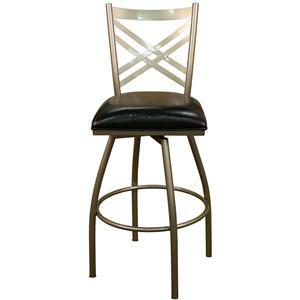 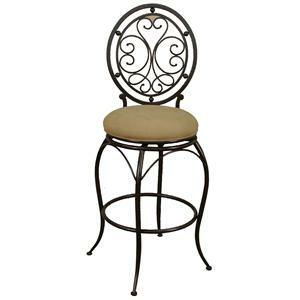 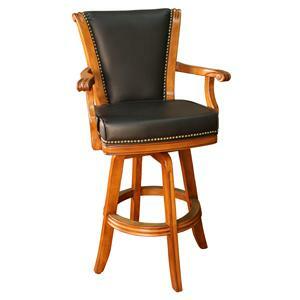 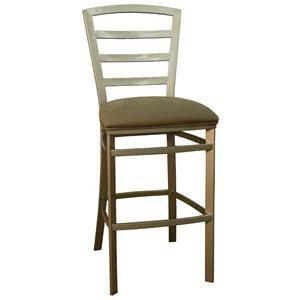 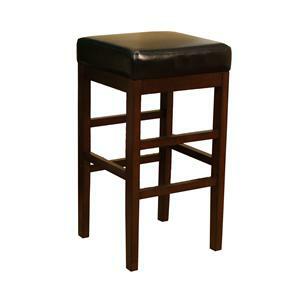 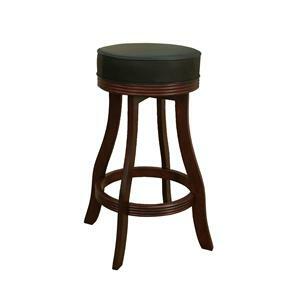 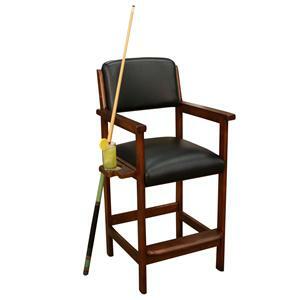 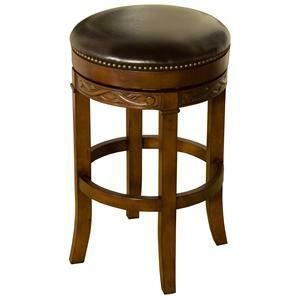 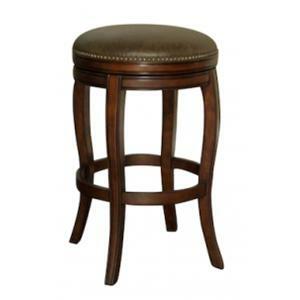 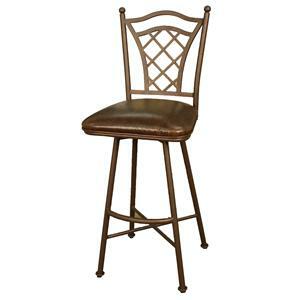 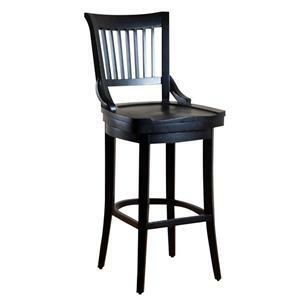 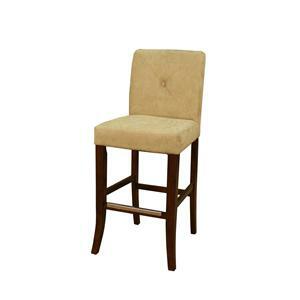 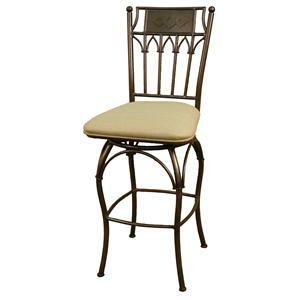 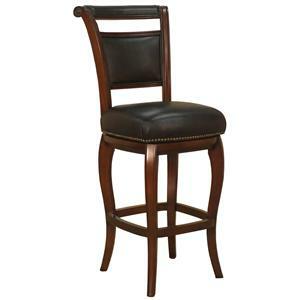 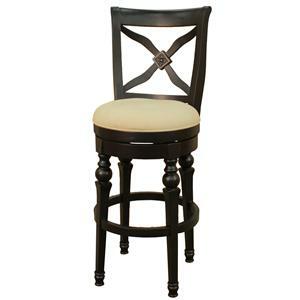 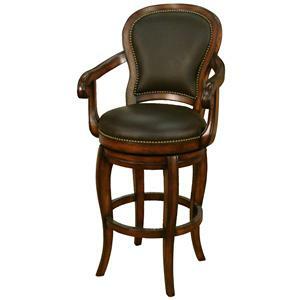 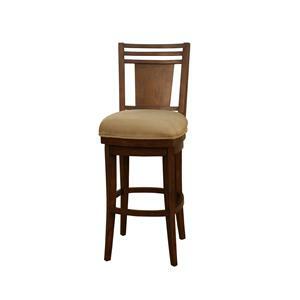 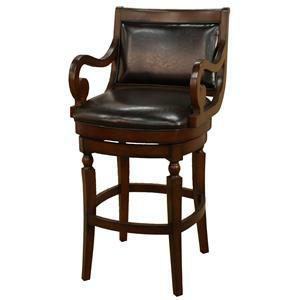 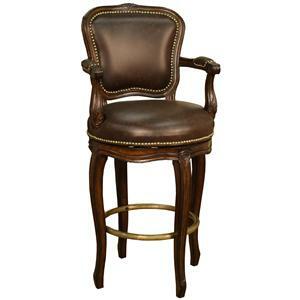 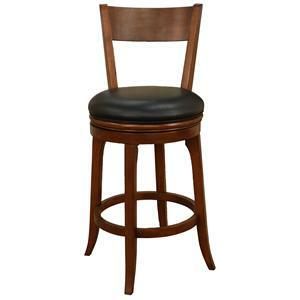 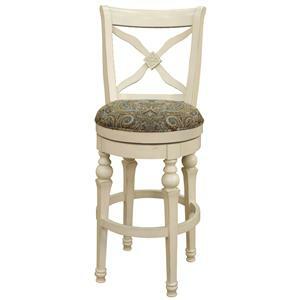 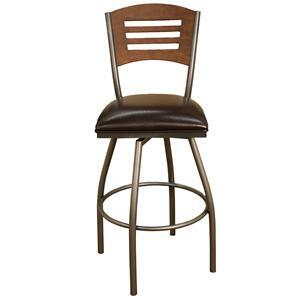 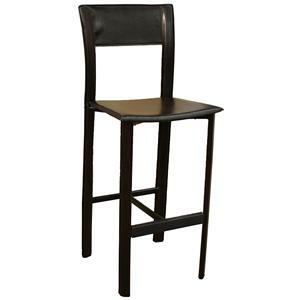 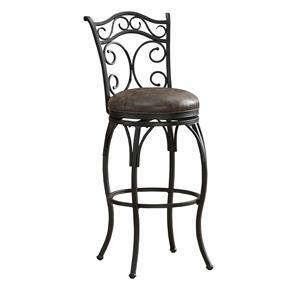 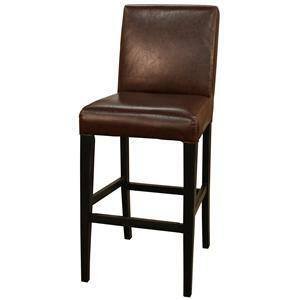 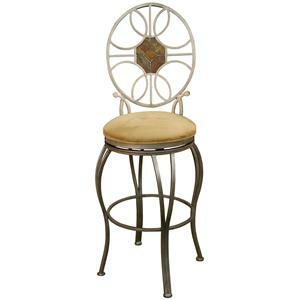 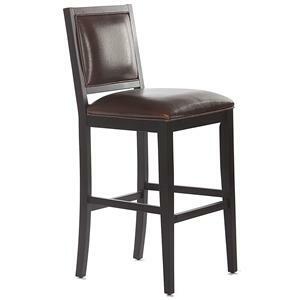 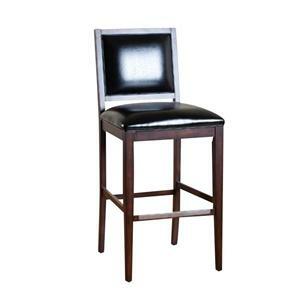 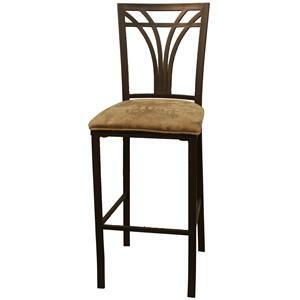 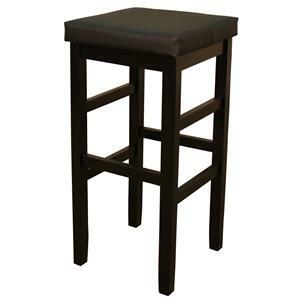 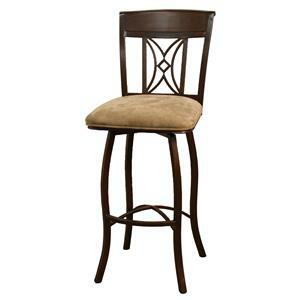 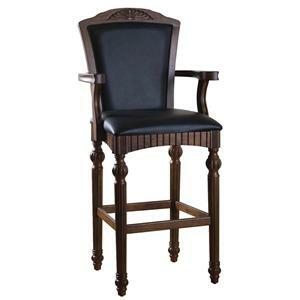 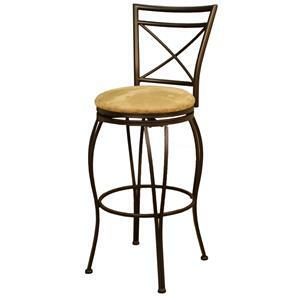 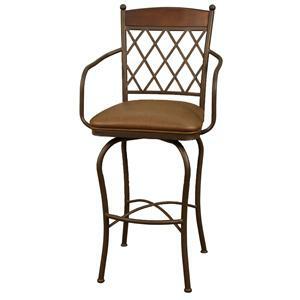 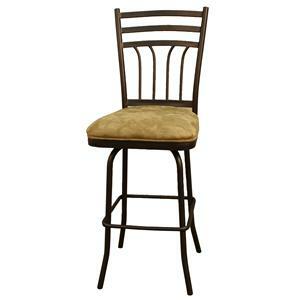 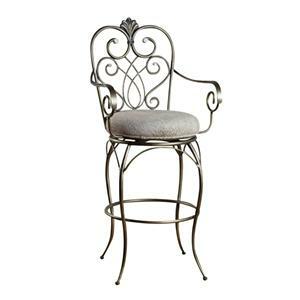 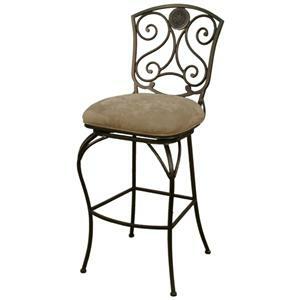 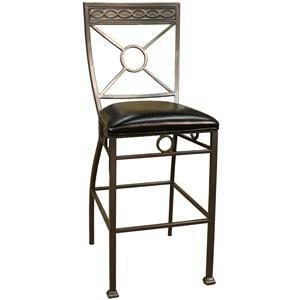 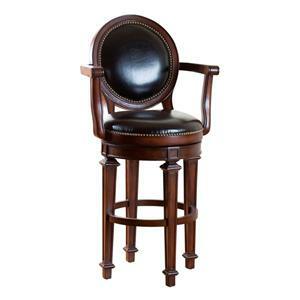 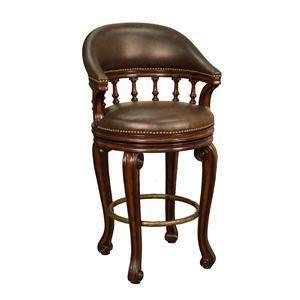 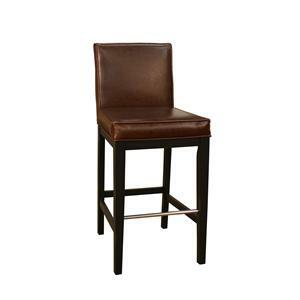 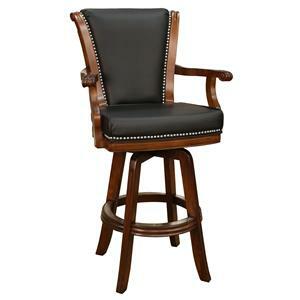 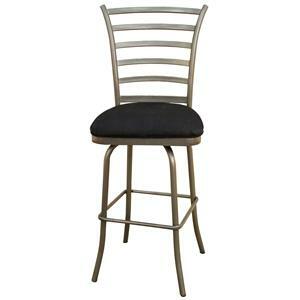 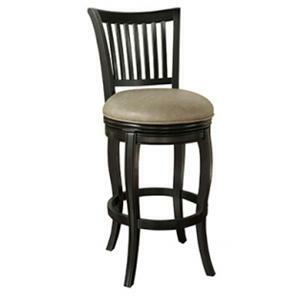 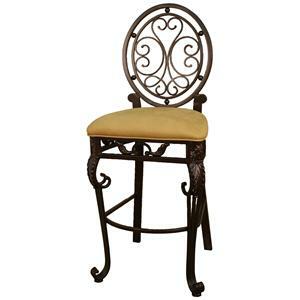 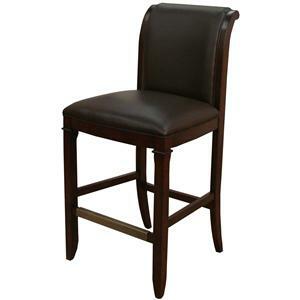 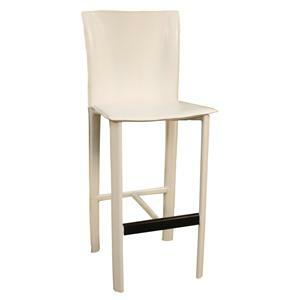 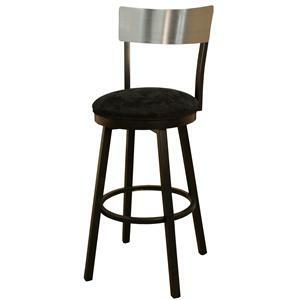 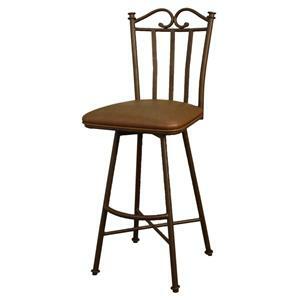 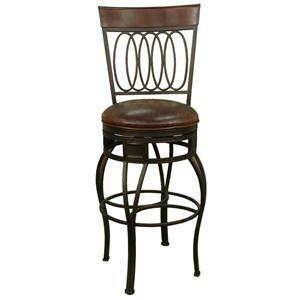 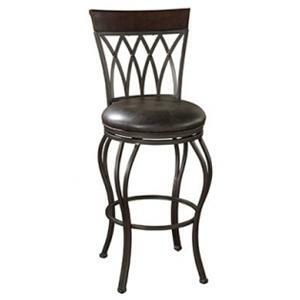 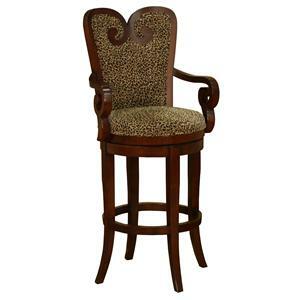 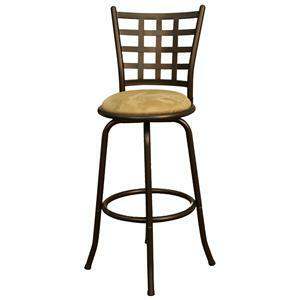 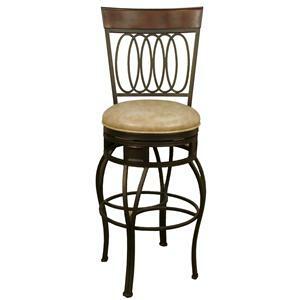 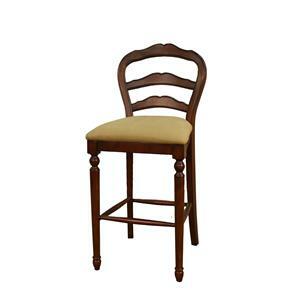 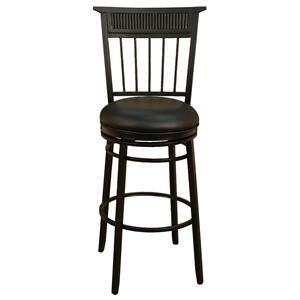 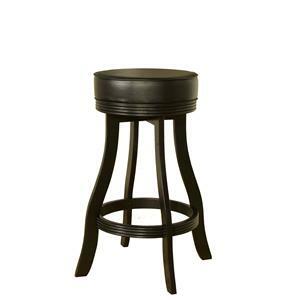 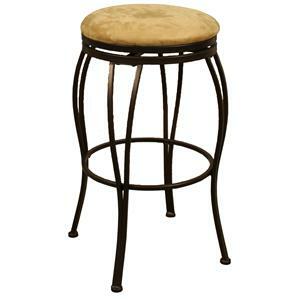 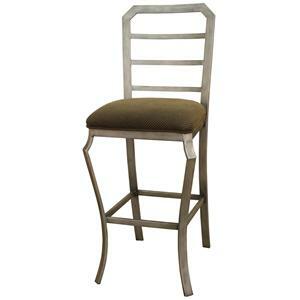 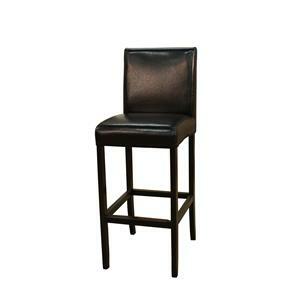 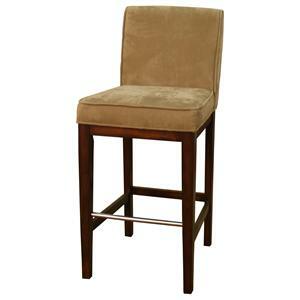 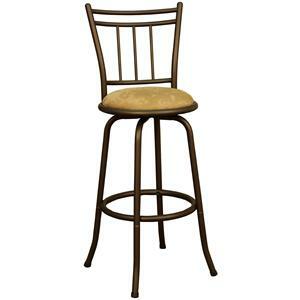 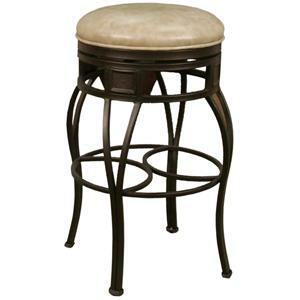 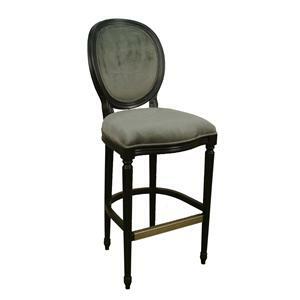 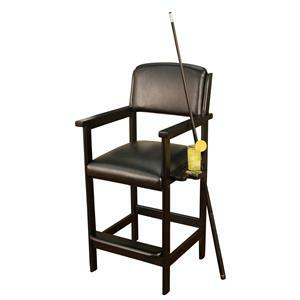 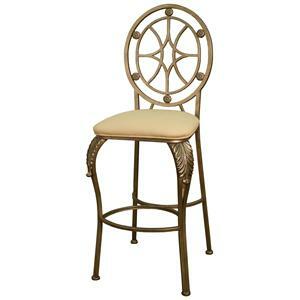 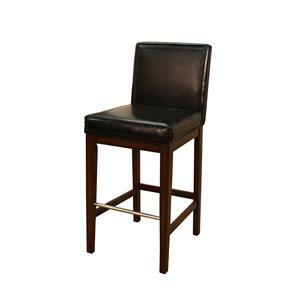 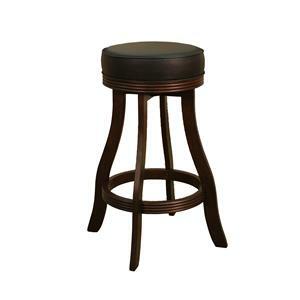 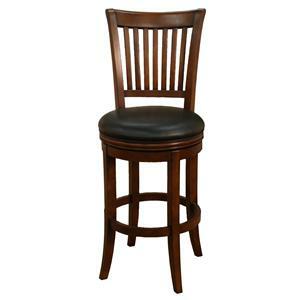 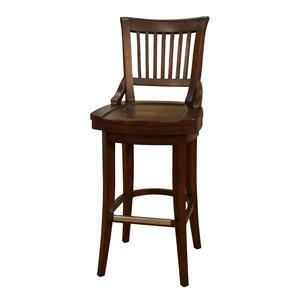 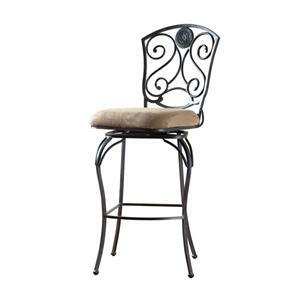 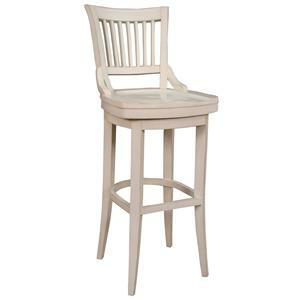 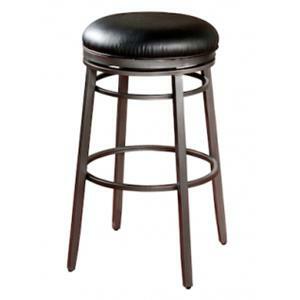 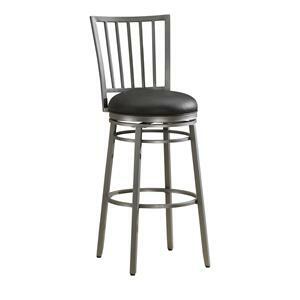 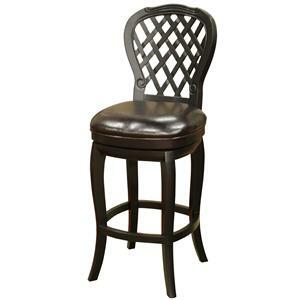 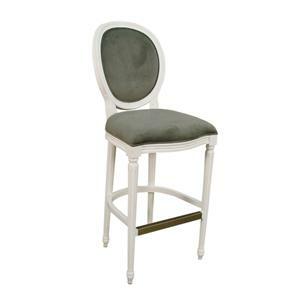 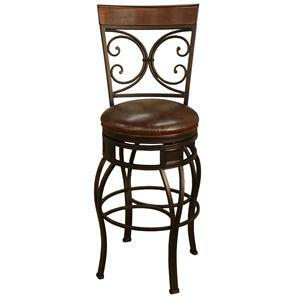 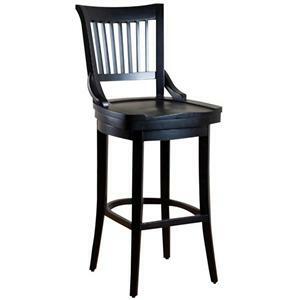 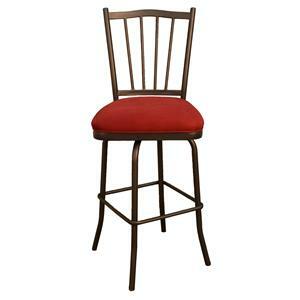 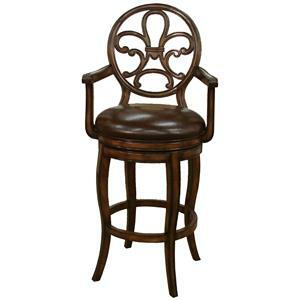 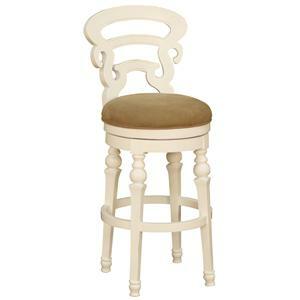 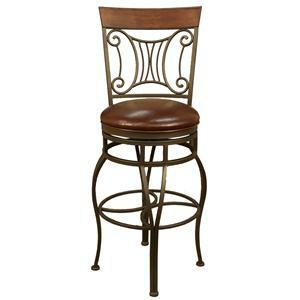 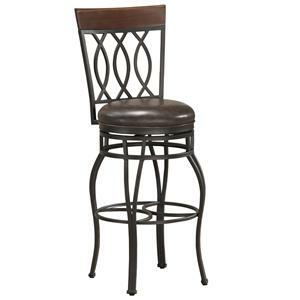 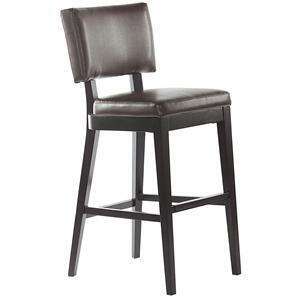 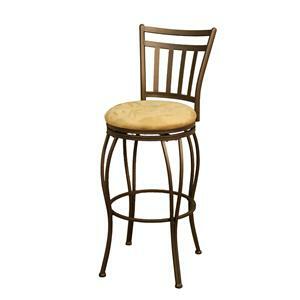 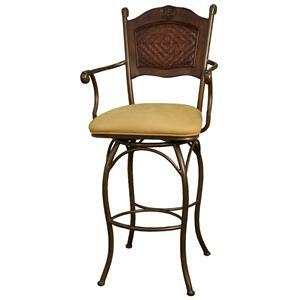 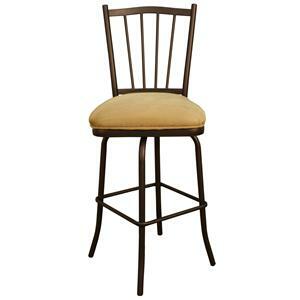 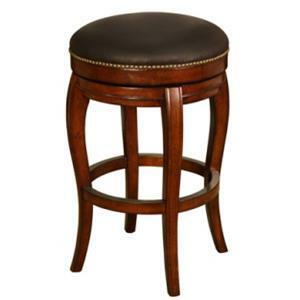 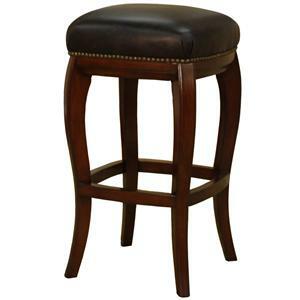 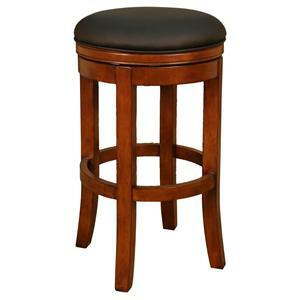 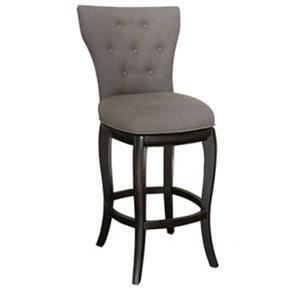 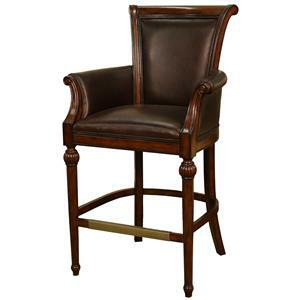 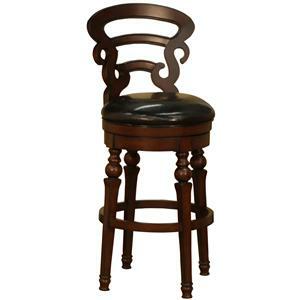 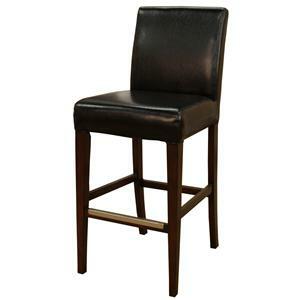 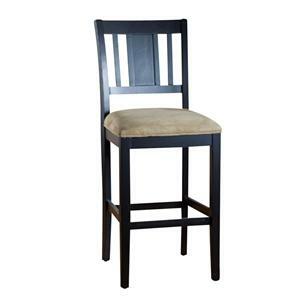 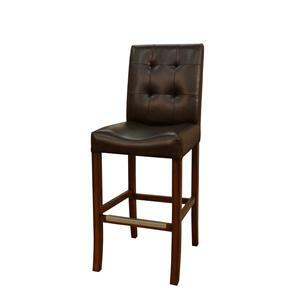 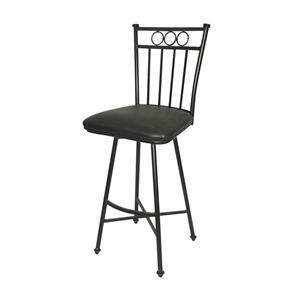 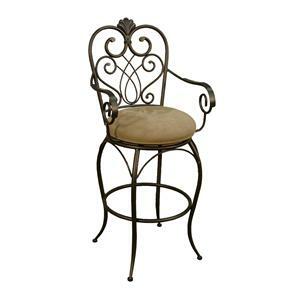 The Bar Stools 24" Belleview Bar Stool by American Heritage Billiards is available in the area from FMG - Local Home Furnishing. 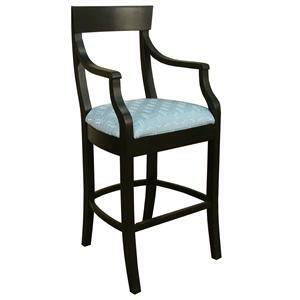 Seat Earth fabric upholstered full swivel seat. 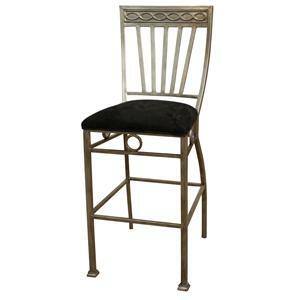 Seat Back Elegant contoured metal seat back design.